The YouTube Channel called tine tv, with 33,153,044 followers, is honestly one of the most amazing YouTube channels out there and, while not a lot of people are talking about the people – who are presumably Cambodian because of the Khmer writing on their channel – their amazing abilities to hand build swimming pools, houses, dog houses and much more is astounding. The YouTube Channel, tine tv, has only been around for just over a year, and their videos range from how to survive off the land by finding and catching food to building their own homes with swimming pools! A lot of their videos are labelled Primitive Times as they use very basic materials such as bamboo, clay from a certain combination of sand and river water, reeds for clothes and shoes and even different types of sticks for hunting materials. 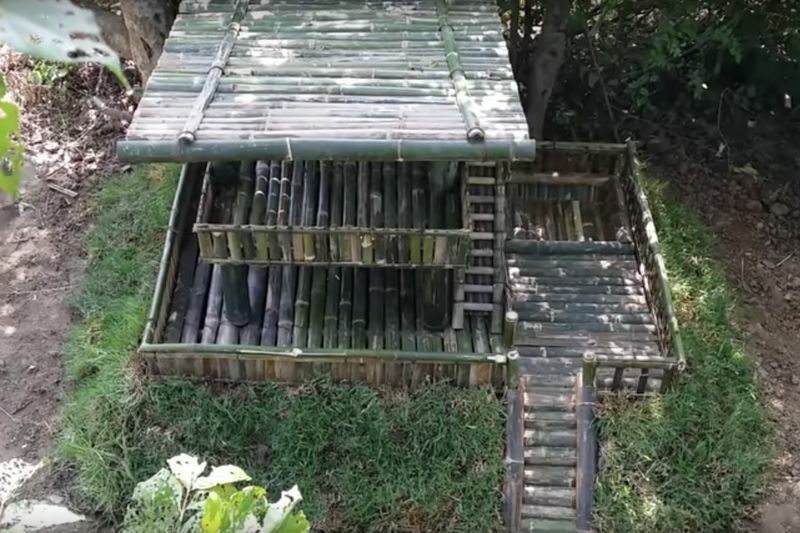 I've linked below one of their videos below that features two very cute puppies and their owner who builds a sort of doggy mansion out of bamboo for these very spoilt pups. See their YouTube Channel for more incredibly talented men who use their bare hands and almost no tools to build quite elaborate structures. Video: A Terrifying Look Into The World Of A Youtuber – A Parody! Video: Fake Viral Videos That Had You Fooled! Video: Gay Men Are Ready To Take Over And Do It 10 Times Better! Video: Why Mosquitos Bite You More Than Anyone Else!